Imagine trying to write a biography of Joseph Smith or a history of the Mormon church he founded if the only accounts we had from the 1800’s were those produced by Smith’s most devoted followers. We can be quite certain that if we accepted these accounts at face value we would come up with a narrative that was wrong in countless details both major and minor. We might very well think that Joseph Smith was the faithful husband of a single wife. This is the problem that we face with trying to figure out what happened in the early years of Christianity. We have no non-Christian sources. We only have one side of the story. While it is possible that the the other side of the story would confirm the side we have, knowledge and experience tell us that it is foolish to ignore the possibility that it wouldn’t. Thanks for your comment. Good point, Vinny. It’s not entirely true that we don’t have non-Christian sources, but let’s assume we don’t. Then I could also reverse the argument and say that, since the writers of the Gospels were followers of Christ, we would expect them to be most devoted to the historical accuracy of their biographies. Unless you hold to a conspiracy theory, there is no good reason to doubt the sincerity of the authors’ belief in the historicity of their account. Moreover, if you’d argue they had an agenda to persuade the readers to join “the movement”, the ad hominem would still say nothing about the truth of their narratives. Finally, even if the Gospels were found to be unreliable, the historical core of facts I mentioned would still uphold God’s resurrection of Jesus Christ as the best explanation. Why would we expect them to be most devoted to the historical accuracy of their biographies? Have we observed such behavior elsewhere in the biographies of religious leaders written by their followers? In the case of Mormonism, we observe exactly the opposite. I’m not familiar with the history of Mormonism, but I don’t see why I should already have beforehand a prejudice against the reliability of a biography written by a follower or friend. There is no good reason to presuppose that the authors of the gospels were not sincere in their beliefs about Jesus Christ. Moreover, we don’t find the expected legendary embellishments as we do in extra-Biblical gospels. There is also hardly any theological grandeur, people are mocking Jesus, laughing at him, attempting to stone him. His disciples are represented as ignorant, unimportant fishermen, even preposterously stupid at times. His followers are the social ‘misfits’ of the time. Jesus sometimes even fails to perform miracles, because of the people’s unbelief. Jesus is presented as ignorant in some respects, not knowing when he will return in the future. He is extremely frightened to suffer and die. Is that what we’d expect from Almighty God in the flesh? Finally, the gospels were based upon eyewitness testimony and were most likely written at a time when eyewitnesses of the narrated events were still alive. You shouldn’t prejudge the reliability of a biography written by a follower or friend. You should judge it. If you can verify its reliability, you should believe it. If you can verify that it’s unreliable, you should reject it. If you can’t verify it either way, you should withhold judgment until you can. The gospels are ancient writings containing accounts of supernatural events. How does one go about verifying the reliability of such an account? What are the criteria to be applied? You assert that the canonical gospels do not have the type of legendary embellishment found in the apocryphal ones. How does that help to verify the reliability of the canonical gospels? Off the top of my head, I can see why a story with less supernatural embellishment is more likely to be true than a story with more supernatural embellishment. However, if I follow that principle through to its logical conclusion, I have to prefer a story with no supernatural embellishment at all. Why would lack of theological grandeur be a valid basis for accepting the reliability of the gospels? The stories from Greek mythology portray their gods as being greedy, petty, envious, lustful, and angry. Does this suggest that they are likely to be true? I have no doubt that you can point out lots of ways in which the gospels are different from other accounts both ancient and modern. What I don’t think you can do is establish that any of those differences form valid criteria for distinguishing supernatural events that really happened from supernatural events that didn’t really happen. Good point. But I still think the burden of proof lies on the shoulders of the skeptic. Given the clear distinctives between the gospels and ancient folk tales, as you admit, and the insufficient time span for legendary embellishments to eliminate the historical core, we have good reasons to believe the gospels are reliable. As far as I know, we don’t have criteria to establish a-historicity, we only have criteria to establish historicity and these do apply to the historical core of the gospel narratives. Whether supernatural events are possible is not a historical question, but a philosophical one. I believe God’s resurrection of Jesus Christ is the most adequate explanation of the established historical facts I mentioned. Anything that would prevent a historian to take the best road, is a philosophical bias against miracles and the supernatural. The Greek mythological gods are what I would expect to be human inventions, a Trinity such as the Christian God, is what I would least expect. Jesus Christ’s divine authority is unsurpassed and his moral standards so high that they are unnatural or even practically infeasible for human beings. It’s unnatural for us to love our enemies and still, we can all acknowledge that this is a profound virtue. Whether or not supernatural events are possible may be a question of philosophy, but whether they are detectable is a question of historical methodology because the historian is limited by the tools available to him. The process by which a historian (or a scientist or a detective or anyone else for that matter) infers the likeliest explanation for any particular collection of evidence depends upon the consistency of the natural processes that we observe in the world around us. For example, we think that fingerprints on a gun may be evidence of who handled it last. We think this because we understand the natural processes by which the unique patterns on the human finger can come to appear on other objects and we understand that those natural processes act consistently. Fingerprints wouldn’t constitute evidence if we thought that those patterns could appear by some process other than the transfer of natural secretions when the friction ridges of the fingers come into contact with the gun. If we thought that such patterns appeared randomly or by divine fiat, we could not infer anything from fingerprints. Unfortunately, we don’t know anything about how miracles happen. Being supernatural, they don’t follow the consistent natural processes that I observe. I may believe in a God who can suspend those natural processes, but I cannot have any expectations about the kind of evidence that such a suspension is likely to leave behind and I cannot infer from any particular evidence that it must have been the product of such suspension. For all we know, a miracle might produce evidence that is perfectly consistent with some natural explanation. The evidence that the historian examines is the effect of some cause which the historian wants to discover. However, he can only reason by analogy to causes and effects with which he is already familiar. If the historian has no general knowledge of how the effect of a miracle differs from the effect of a natural cause, he has no basis to posit a miracle as the cause of any particular effect that he observes. Good point again, but questions of scientific methodology are philosophical in nature. As a scientist embracing methodological naturalism, a historian would feel constrained by his philosophical pre-understanding of the historical texts to limit his explanations to natural ones, but as an unbiased reader he need not feel constrained. I believe we can agree that a miracle is the direct interference in nature by a supernatural power, such as the creation of the universe out of nothing, an impregnated virgin and raising someone from the dead. As such, miracles are only possible, if naturalism is false. And these supernatural events are clearly recognizable by anyone, even to a 1st century Jew. I agree that the principle of uniformity is something a scientist has to presume in order to draw plausible conclusions from repetitive natural events about how the universe operates. However, not all fields of science require scientists to reason from their evidence in this way. Historians, for example, are not interested in how the universe operates, but what happened in the past and “where the present came from”. Now this may be to some extent uniform, but it certainly needn’t be, f.ex. the decisions people make. I don’t believe every human being would choose to do the same, if put in the same circumstances. It’s often said that history repeats itself, but nothing happens the exact same way twice. Therefore, unlike psychologists, historians are not interests in psychoanalysis: how the human psyche operates, but what happened and how can we explain this. Whether some event warrants a miraculous explanation depends on what we can plausibly infer from the evidence. We needn’t and shouldn’t invoke supernatural causes for everything that happens in this world. Yet if a miraculous explanation such as God’s raising of Jesus Christ best explains the historical evidence, I think this is a reasonably informed explanation. For example, as far as we know, people aren’t raised naturally from the dead: in our experience, when someone dies and is buried, there is no reason to expect them to walk out the grave again, yet it is certainly plausible that a supernatural power could raise someone from the dead. 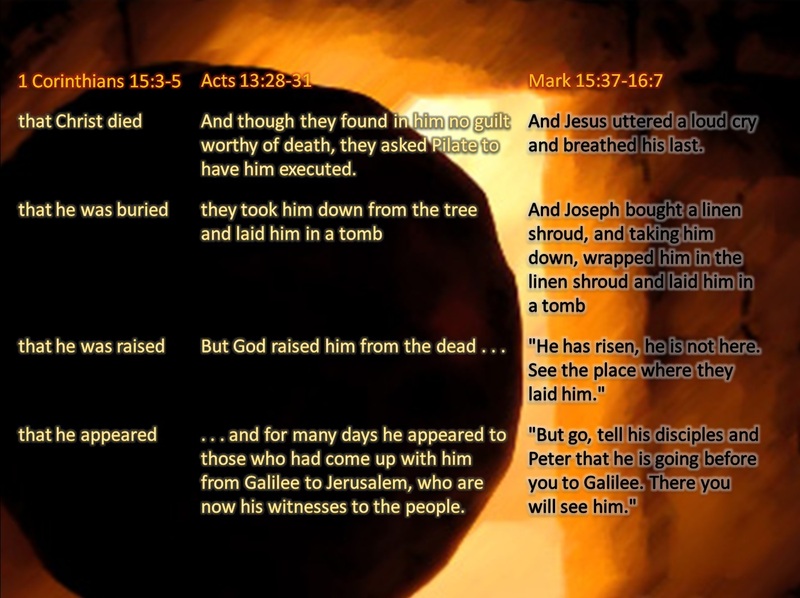 And as far as we know, Jesus’ divine self-understanding and divine authority and his exercising of this authority publicly in Jerusalem and its surroundings would make the resurrection more than informed guess: Jesus truly believed he was God. Needless to say, the radical transformation of the disciples from traditional Judaism to Christianity, abandoning ancient Jewish traditions established by the prophets and commanded by Yahweh, the Lord of the universe and the King of Israel, in favour of following the hated and humiliated man Jesus Christ and his commandments, in humble service and worship of him to the death, would at least endorse their miraculous beliefs and religious experiences as sincere: something must have happened that radically and truly transformed their lives and beliefs.